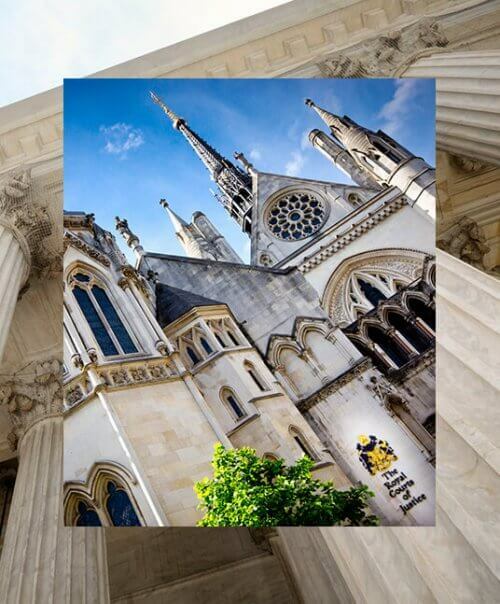 The High Court, in Cunico Resources NV and others v Daskalakis and another  EWHC 3382 (Comm), dismissed an application for judgment in default on the basis that the defendant’s acknowledgment of service, while late, had been filed shortly before the application. The Claimant was a Dubai-based company who issued a claim against, two Switzerland-based individuals. With regards to the first Defendant, the time for filing an acknowledgment of service expired on 6 June 2018, but it was filed on 4 July 2018. This was a mere hour before the Claimant filed its application for judgment in default. Accordingly, the Claimant issued an application for judgment in default against the first Defendant under CPR 12.3(1). The first Defendant applied for a retrospective extension of time for filing an acknowledgment of service. The High Court, namely Andrew Baker J, dismissed the default judgment application and ruled that the question of an extension of time did not arise. The court held that the conditions for judgment in default under CPR 12.3(1) were not satisfied in this case because the first Defendant filed an acknowledgment of service late but just before the default judgment application and there is no application to set aside that acknowledgment of service. CPR 12.3(1) provides “the claimant may obtain judgment in default of acknowledgment of service only (a) if the defendant has not filed an acknowledgment of service or a defence to the claim and (b) the relevant time for doing so has expired”. allowed the court to grant default judgment where a timely acknowledgment of service had not been filed, irrespective of any acknowledgment of service filed later (the third meaning). While Andrew Baker J favoured the first meaning as it naturally conveyed the language of CPR 12.3(1), he essentially held that it would be better to follow the ruling in Unilever plc v PAK Supermarket  EWHC 3846. Here, in support of the second meaning, Baker J refused to grant judgment in default where an acknowledgment of service had been filed (late) but before the default judgment application was issued. Andrew Baker J elaborated as to why, he said, the third meaning is not correct as “only Unilever plc v Pak Supermarket  EWHC 3846 and (possibly) McDonald and another v D&F Contracts Ltd  EWHC 1600 set any precedent for the correctness or incorrectness of the third meaning that Marketing needs to be correct. Unilever decides that it is not correct. There is an argument for reading McDonald as deciding that it is correct, but if that is how McDonald is to be read I do not find it a satisfactory decision and Unilever was not considered. In those circumstances, I do not regard McDonald as a reason to refuse to follow Unilever”. With regards to the first Defendant’s application for a for a retrospective extension, Andrew Baker J held that “I have already said I agree with, and so I am happy to follow, Taylor v Giovani in deciding that under CPR 11(2) it is a procedural requirement of an application under CPR 11(1) to challenge jurisdiction that the defendant first file a timely acknowledgment of service. That means filing either within the time period set under CPR Part 10 or within an extended period fixed by the court on a successful application (prospective or retrospective) for an extension”. The nature of this case focuses on the practical issue of whether a claimant can obtain default judgment when the defendant has filed their acknowledgment of service late. As the judgment does not accord with previous case law, practitioners and clients are faced with uncertainty surrounding this issue.